Here's a surprise. 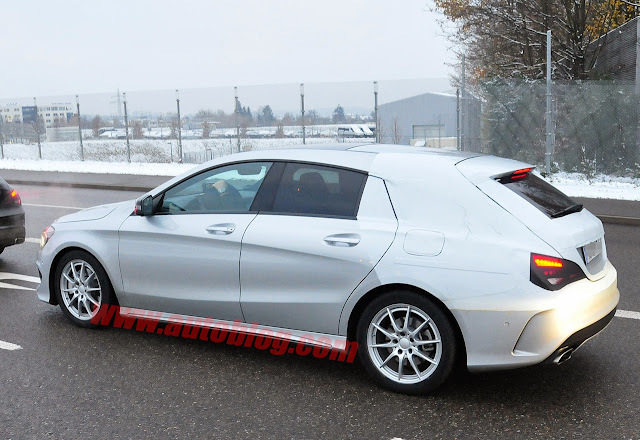 Mercedes is currently testing a CLA Shooting Brake and Autoblog has captured these spy shots. 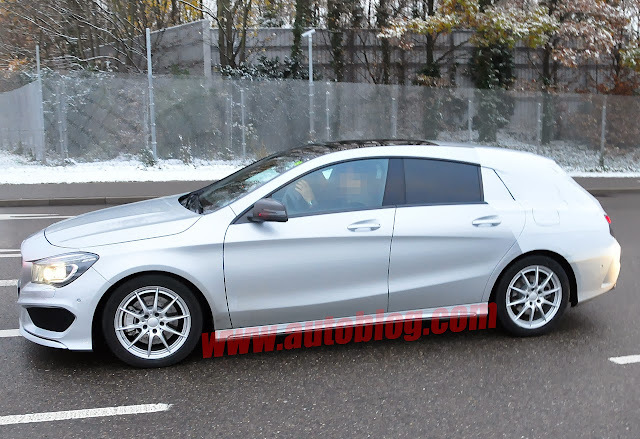 The front end and flanks are standard CLA but the rear end has sprouted a hatchback and extended roof line. The rear of the window tapers as it does in the CLS and the hatch is more a case of style over substance, but the CLS Shooting Brake seems to be a resolutely practical proposition for UK buyers. We do like our estates. Unfortunately the standard CLA is front wheel drive which means the Shooting Brake will be too. However, Autoblog has failed to spot a couple of features which make the CLA Shooting Brake in the photos a rather special one. One is the extra section under the front bumper. The other is the huge brake discs. 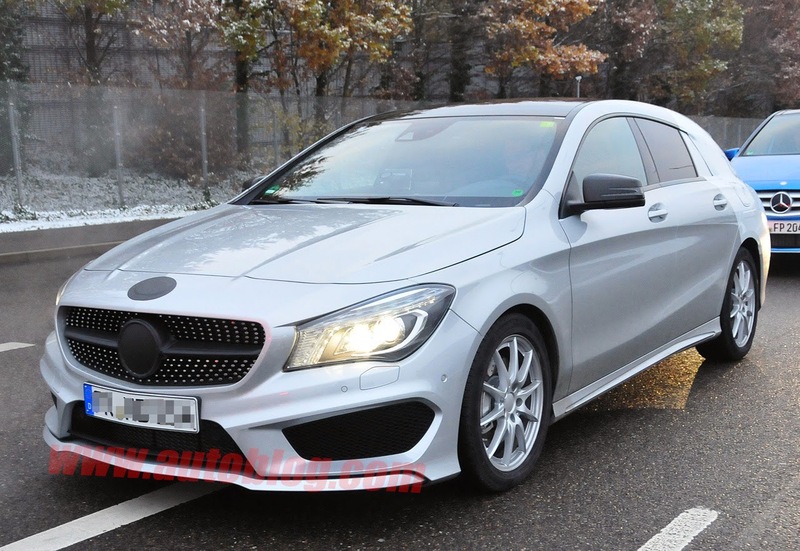 This CLA is a CLA45 AMG Shooting Brake, which means it'll get 4 wheel drive and 355bhp. Oh yes. The CLA Shooting Brake suddenly grabbed our attention. Take a look at the standard CLA220 CDI here, and take a look at the CLA45 AMG here to spot the differences. 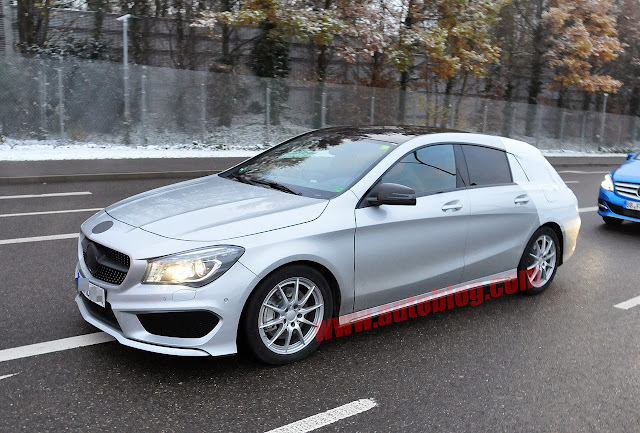 Also, you can read our review of the A45 AMG here.